Even without a chimney, you can still enjoy the warmth of an eye-catching new gas fire from Nexus. 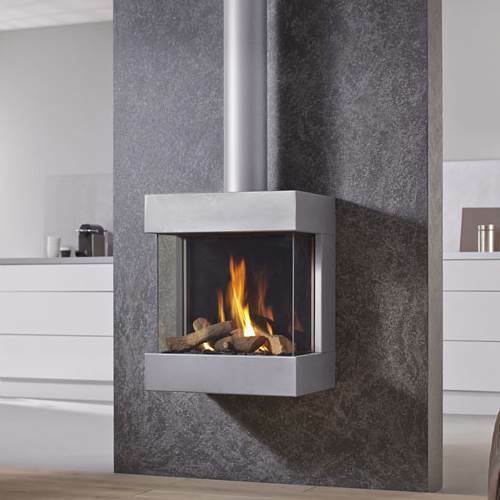 Choose from our versatile range of balanced flue fires - efficient, modern units that draw air and expel waste gas through a concentric flue connected to the outside. At our Nexus showroom in Leicester, we offer dozens of balanced flue gas fires from leading-brand names like Dru, Gazco and Flavel. Pay us a visit and explore our wide selection of balanced flue designs, finishes and fire bed options. It's possible to install a balanced flue gas fire into a standard chimney if you wish. But more typically, these room-sealed (glass-fronted) fires are mounted within a heat-resistant 'false' chimneybreast which serves to conceal the flue.